...and use the pleasant weather in Greece to your advantage. The most frequent sailing wind in Greece is the meltemi, a dry wind from the north which sweeps across the Aegean Sea and brings cooling and good visibility. It occurs mainly during the summer season (June to September), but it is also frequent in May and October. This sailing wind is an afternoon phenomenon which reaches 4-5 Beaufort before dying out at sunset. Sometimes, however, it reaches 5-7 Beaufort during the day, perseveres during the night and then blows 5-7 Beaufort the next day, which can happen for several days, sometimes even ten. A reliable maistro wind blows in the Ionian Sea during sailing season in Greece from the north-west. It appears in the early afternoon and falls at sunset. The short winter sailing winds are called Sirocco and blow from the north-east. When to Sail in Greece? The sailing season in Greece starts early April and lasts to November. The high sailing season, however, is from the last week of July to the first week of September. During that time, some areas might be a bit crowded, but everything will be open and there will be a larger choice of sailing boats. The temperatures will be high, but the meltemi sailing wind will also blow in the Aegean. Of course, prices are more reasonable during April, May or June. In that time, the water temperature will be pleasant enough for swimming. September is perhaps the most favorable time for sailing, not only because the prices are lower, but also because there are smaller crowds and the time is ideal for snorkeling and diving, as the weather conditions are still nice. 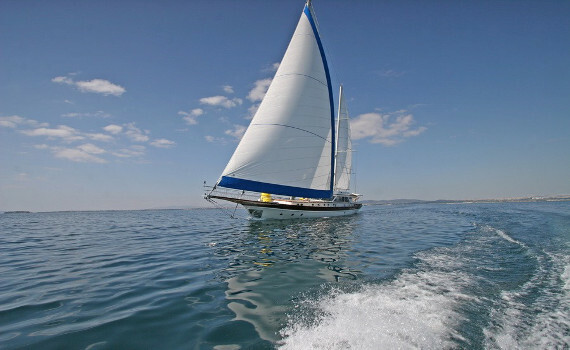 A cruising yacht with excellent design, comfort and performance. Ideal for a family or a smaller crew. Large interior for safe and stable sailing. Design features sleek, modern exteriors with a broad, inviting cockpit and a full-width lowering swim platform. 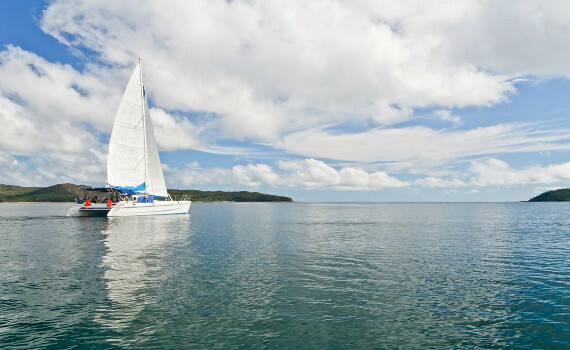 A world-class cruising catamaran with elegant lines and a design that maximizes space, storage and level of comfort. Now that you know what Greek weather is like and when you should go sailing there, it is time to choose the perfect sailing yacht to charter in Greece. 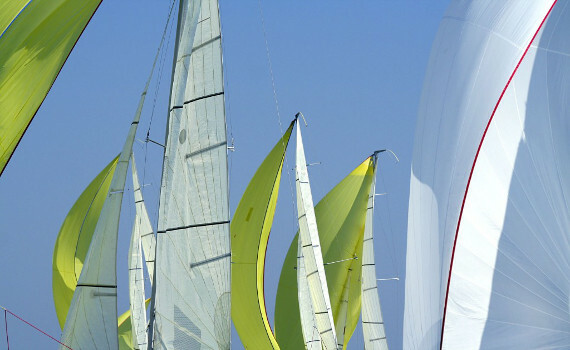 Check out our other pages giving you specific information on particular sailing yacht brands. 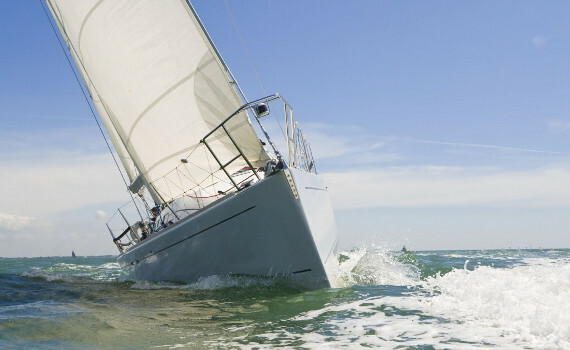 Discover the features of Beneteau sailing yachts and how to charter them on Beneteau Yacht Selection or read what Dufour has to offer on Dufour Yacht Selection. Here you can also find useful advice on how to charter Dufour yachts - what documents to take and how the check-in procedure looks like.